On the night of June 15, 2014- less than two weeks ago, witnesses observed several vans filled with men enter the town of Mpeketoni and stop at the local police station. Subsequent reports now claim that these same policemen had been notified of a possible attack upon the residents living in the area earlier in the day making what eventually occurred a most tragic event indeed. After the masked gunmen who carried AK-47’s and spoke Swahili secured the station they divided their original group of 50 into smaller units then headed off to terrorize the nearby neighborhoods of Mpeketoni and Kibaon in search of infidels; shooting those who declared they were Christians and sparing those who could recite verses from the Qur`an accurately. While some of these brigands engaged in cold- blooded murder others set fire to local hotels, restaurants, and an assortment of administrative buildings creating orphans and widows in their wake. Two nights later a group of similarly armed, masked men appeared in the villages of Majembeni and Poromoko intent on looking for Christians while setting the homes of many longtime residents ablaze. By the time this killing spree had ended 58 people lay dead and another 30 had been declared “missing persons”. Then in the aftermath of this slaughter things became doubly confusing. At first local media attributed these horrific events to the Islamic terrorist organization al- Shabaab claiming that the Somalia extremist group had assumed credit for these attacks claiming they were in retaliation for the presence of Kenyan military in Somalia and for the wanton slaughter of fellow Muslims there. But then Uhuru Kenyatta appeared on national television to give a much different explanation of the massacres. He declared that the attacks were the work of disgruntled politicians and opposition parties living in Lamu Province instead. Men who had sought to do some ethnic cleansing of their own in retaliation for past grievances over property rights and illegal land transfers. Not only that, Kenyatta claimed that these attacks were purposely directed at the descendants of some 30,000 Kikuyus now living along the coast who had been brought there by his father in the 1970’s as part of the Lake Kenyatta Settlement Scheme. In order to house his Kikuyus, the first President of Kenya took ancestral lands away from the Oromos and the local Muslims living in the area at that time who had laid claim to this territory for centuries. According to Uhuru Kenyatta, these were revenge killings carried out by fellow Kenyans who wanted the Kikuyu off their land and out of their villages. The Kikuyu tribe is one of the largest tribes in Kenya today whose ancestral home is located in central Kenya at the base of Mount Kenya. And to prove this, by the following week Wednesday, June 25, 2014 the Lamu County Governor himself- one Issa Timamy was arrested on charges relating to these heinous attacks. And things became stranger still as Kenyatta and other members of his cabinet hinted that somehow former Prime Minister, Raila Odinga was linked to these attacks. Cabinet Secretary of the Interior & Coordination of the National Government, Joseph Ole Lenku went as far as to blame the current opposition party, The Coalition for Reforms & Democracy (CORD) for the attacks knowing full well that Mr. Odinga is the current leader of this party. On Friday, June 13, 2014 Odinga held the first in a series of rallies planned throughout Kenya to force Kenyatta’s government to address three of the most critical issues facing the country as of 2014: the rising cost of living, the escalation of terrorism within the country, and the reform of Kenya’s present electoral body. Odinga, a member of the Luo tribe from the Lake Victoria region, had failed at his third bid for the Presidency of Kenya during the March 2013 elections while Uhuru Kenyatta, son of the country’s first President Jomo Kenyatta, a Kikuyu himself, had won the election. But with only a 50.5% margin of victory; he had not won this election by a considerable landslide leading many to believe that he was not the “people’s choice” as he’d previously described himself in campaign speeches. In the 2007 Presidential election after running and losing to the incumbent President, Mwai Kibaki, also a member of the Kikuyu tribe, Odinga refused to accept the electoral commission’s decision and riots soon erupted on the streets of many major cities pitting Kikuyus against Luos and Kalengins. Finally in order to restore peace to the country President Kibaki resurrected the position of Prime Minister for Odinga making him the second Prime Minister in the country’s history since its independence from Britain. But in all fairness, Odinga’s claims of political wrongdoings during the 2007 elections were proven to be valid. Uhuru Kenyatta, even though he is a standing President, has since been indicted by the International Criminal Court and is expected to stand trial for crimes committed during the 2007 elections where over 1,000 people died and thousands more lost their homes and were forced to relocate to refugee camps. So who is really behind the senseless slaughter of local residents in coastal Kenya? Many Kenyans would tell you that the new and improved Mombasa Republican Council (MRC) has had a hand in this brutal violence. 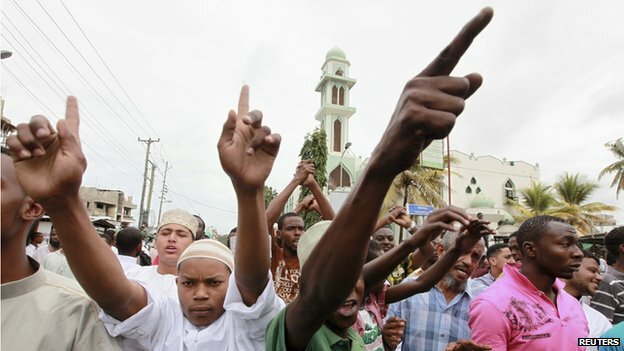 This separatist organization was first established in 2008 as a platform for Muslims and Christians living along the coast especially in and around Mombasa to express their unhappiness with the substandard economic and social conditions they feel have been caused by the Kenyan government and their desire to secede from Kenya in order to create their own independent state. There is a catch-phrase in Kiswahili often bantered around the streets of Mombasa, “Pwani Si Kenya,” which means, “The coast is not Kenya.” Many residents there are convinced that the creation of a new country along the coastline would give the local tribesmen possession of their ancestral lands once again – those same lands that had been stolen away from them by any number of conquerors from the British and Persians to the Portuguese and Arabs. The MRC is currently based in Mombasa, the second largest city in Kenya and the oldest with a history steeped in warfare and violence. Recently the MRC reshaped itself aligning themselves to Islamic interests which has caused many residents of Mombasa to wonder if it’s also connected itself to Islamic terrorist organizations such as al- Shabaab or Kenya’s own al- Hijra as well? It’s common knowledge around the city that the current leadership of the MRC is being funded by wealthy and influential Arabs living in Yemen and Saudi Arabia. It’s also no surprise that Yeman’s considered one of the foremost training centers for al- Qaeda-connected terrorists, Results of a current survey conducted by the researcher, Paul Goldsmith on the influence of the MRC found that the organization had almost “universal” support among the people living along the coast. In July 2012, the current Chairman of the MRC, Omar Mwamnwadzi, made this dire prediction concerning the future of Kenya’s coastal belt. “There will be no peace, this I cannot hide from you. The coast will have no peace at all.” Although he was referring to the 2013 elections which did take place in Mombasa without considerable violence his warning has never appeared more true than in the year 2014. Mwamnwadzi also stated that the people of the coast have a perfect right to secede from Kenya now because Kenya no longer has any title to this 11.8 mile strip of land. He bases his claim on a June, 1963 accord document supposedly signed by then Prime Minster Jomo Kenyatta and Mohamed Shante, Sultan of Oman granting the newly independent country of Kenya a 50 year lease on the 19 km strip of coastline known as Zanj of which Mombasa is a central part. He also stated that the MRC is in possession of physical documents and signatures that prove his claim. According to Mwamnwadzi, Kenya’s lease expired in June of 2013 meaning that Kenya has no legal right to Zanj anymore. Government officials have taken a different view of the situation especially their interpretation of the supposed lease. In their version the 1963 Lancaster Negotiations as they were called at the time, recommended that this same strip of land be made a permanent part of Kenya and that the Sultan of Oman was compensated with money and other favors for the transfer of his land at that time once all of the documents relating to the negotiations had been signed. But members of the MRC have remained firm on their intention to create a separate state in order to right the wrongs done to them over the past centuries. Their goal- to take back the land belonging to the indigenous peoples of the coastline from those who currently control it- namely people from “up country” ( inland Kenya) the bulk of whom are Members of Parliament and government officials living in Nairobi. They remind everyone that until recently only the President of Kenya could approve of the sale of beach property along Kenya’s 300 mile coastline and that Jomo Kenyatta appropriated large parcels of land along the coastline for himself as soon as he became President of Kenya. This same property continues to be owned by his descendants. And members of the MRC are correct in claiming that most of Kenya’s shoreline belongs to the political elite of Kenya rather than the people who’ve lived there for centuries. There is a strong Islamic influence throughout this island city and the mainland coast evident in its architecture and daily routines. Although Muslims make up only 11 % of the total population of Kenya, 60% of them live along the coast. And so, delicate, white minarets dot the winding landscape while muezzins use loud speakers to call the faithful to prayer, (adhan) five times a day. According to historical records Mombasa is an ancient settlement founded by Shehe Mvita, a Muslim of great learning, in 900AD. Eventually his descendants transformed the city into what it is today. There are still direct descendants of Shehe Mvita living in Mombasa enough so, that they actually have been given a name- “ Thenashaw Taifa” or The Twelve Nations.. Control of Mombasa alternated between the Sultan of Oman and the Portuguese from1593 until 1824 then the British took over in 1826. The Sultan of Oman returned again from 1826 – 1887 and the East African Protectorate (Britain) from1887 until Kenya’s independence in 1963. For many years Mombasa served as the capital of the East African Protectorate until the British finally made their capital city Nairobi in 1906. I visited Mombasa with friends during the summer of 2007, lived in a white, stucco villa located on Shelly Beach and can still recall how the sensual odor of fresh jasmine mingled with the scent of the Indian Ocean as I made my way through the small shops located around Fort Jesus. In my mind there is no finer city in the world and I can understand why its residents would give their lives to keep it that way. Which is why it bothers me greatly to think that Mombasa may never experience a peaceful day again- not until the government of Kenya really starts listening to its Muslim constituency? Mombasa has been called, “Kisiwa Cha Mvita” in Kiswahili meaning “island of war”. This is an apt description lately whether because of riots between Christians and Muslims or violent retaliations by Kenyan police. Mombasa has been on the verge of revolution for a full decade now and it seems that the current violence has pushed it far closer to the “edge of no return” than ever before. In my previous blog post I discussed the formation of Kenya’s terrorist organization- al- Hijra and the reasons young Muslim boys are attracted to terrorist organizations in the first place. Kenyan Muslims have claimed for five decades now that they have been systematically swindled out of land and businesses by inland Kenyans especially politicians who own large shares in the many resort hotels lining the coast plus they see little monies from a most profitable tourist industry which fills only the government’s coffers. And although Mombasa is the major shipping port supplying all of East and Central Africa with goods, the port itself is controlled not by locals but by a government which excludes Muslims from its employ. I think that if history has taught us anything it’s that happy people make poor terrorists. People who are respected by the community, have good jobs, earn enough money to make personal plans and fulfill their dreams don’t go around causing trouble. But them that have no hope of building a better future for themselves and no means of improving their lot in life- they’re the ones capable of carrying AK-47’s in the streets and hiding bombs inside matatus. Until the Kenyan government understands this nothing in Mombasa will change- in fact it will only get worse. So who’s responsible for the massacre around Mpeketoni? What does it matter when the outcome’s sure to be the same? Whether or not the current killings are the work of opposition parties, Somali terrorists, or a disenfranchised Muslim population in the end more violence in response to these actions by the Kenyan government will only divide coastal loyalties further and push people into using more violence. The MRC claims that it has not yet joined forces with terrorist organizations but as more and more young men return to Mombasa from the training centers in Somalia thoroughly skilled in the art of terrorism and join the MRC what then? On Tuesday, June 10, 2014 Sheikh Mohamed Idris chairman of Kenya’ Council of Imam and Preachers was shot to death by armed men driving by on motorcycles as he left his house to attend morning prayers. Idris had been threatened by members of al- Hijra and al- Shabaab for urging Muslim youth not to join with terrorist groups. He had been run out of the mosque he had served for the past 35 years by young men armed with knives because of his stand against violence and the fourth cleric to be assassinated in Mombasa in the past two years. Out of a total population of 1.2 million people now living in Mombasa, over 300,000 or 37% are Muslims. Their high numbers alone ensure that they can provide an unlimited amount of warriors willing to participate in open rebellion. Young Muslim men have demonstrated that they have become a force to be reckoned with and whether it’s due to their lack of education, meaningful employment, or zealous beliefs they will be the ones leading the revolution as Mombasa erupts and it surely will. On Friday, May 16, 2014 hand- made bombs left inside a matatu (mini-van) exploded In Gikomba Market located on Jogo Road, Nairobi, an outdoor market famous for the sale of second-hand clothes. Gikomba is frequented by working- class Kenyans trying to stretch their paychecks by buying their clothes on the cheap. This time 10 Kenyans were killed and upwards of 70 people injured- ordinary citizens on their way to work or engaged in bartering for goods and services together. Store fronts were destroyed and several cars demolished during the fray as people fled the scene seeking to avoid the flying shrapnel intentionally packed inside the bombs. Sadly this has become a common event in Nairobi during past year. According to the United States Embassy Kenya has witnessed a dramatic escalation in home-related terrorism during the past two years. An estimated 100 people have been killed in terrorist-related mass shootings, grenade attacks, and bombings in the past eighteen months alone. Gikomba Market is a mere four miles away from the Westgate Mall but culturally its wooden kiosks are a world away from the sleek, ultra-modern multi- level designer stores frequented by British and Americans residing in the Westlands. In September 2014, 67 people were killed in a terrorist attack reportedly carried out by a group of young Somali men and women- part of the youth group known as al- Shabaab. But days afterwards, subsequent eye-witness accounts of this bloody massacre painted a much different picture of the terrorists responsible for shooting non- Muslims on the floor of the mall that day. According to several first-hand testimonies the armed combatants did not physically resemble Somalis, spoke Swahili like Kenyans, and knew their way around Nairobi quite well- in other words these were home-grown terrorists rather than the imported kind. The name al- Hijra, a Kenyan affiliate of al- Shabaab suddenly entered the media pool and its reputation as a Kenyan organization of Islamic terrorists spread throughout the country. These latest attacks did not target Europeans living in Kenya or tourists on safari at the Mara or sunning themselves on the shore. No, these attacks were deliberately made against the Kenyan people by disgruntled Muslim youth seeking to harm the rest of Kenya in retaliation for injustices that have brought on this rage as a result of religious intolerance. To understand why one needs only consider the current unrest out on the streets of Mombasa namely the open hostility between police and Muslim youth especially those residing in Majengo, a crowded Mombasa slum. 4.3 million Muslims make up 11.2 % of the total population of Kenya with the largest population of Muslims living along the coast especially within the city limits. 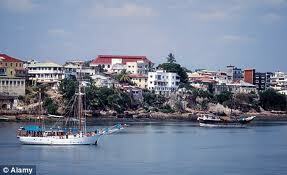 Mombasa is the second largest city in Kenya after Nairobi and Kenya’s most famous seaside resort area. Mombasa, is also a very ancient island of trade, only 575 miles from the Somali border which has always supported a multi-national population but in recent years this hodgepodge of cultures has become divided down the middle into Christian – Muslim groups after a myriad of shootings and riots have left its citizenry on both sides distrustful and afraid of one another. Muslim clerics around Africa have openly called for a holy war (jihad) against Christians continuously during the past five years and where in the past both sides displayed a modicum of tolerance when interacting with one another spontaneous church shootings of communicants during Sunday services have left Christians resentful and more than willing to support the actions of the police. And so the Kenyan police – never a proponent of tolerance in the best of times has now targeted the entire Muslim population of Mombasa in their attempt to rid Kenya of terrorists rekindling memories of the KweKwe Death Squad – a special police force created to rid Nairobi of the fearful mungiki sect during the 2007 presidential elections. Dozens of Muslim families have reported the mysterious disappearance of loved ones- husbands and sons to the police only to receive no response or little information on their whereabouts. Human rights activists have accused Kenya’s Anti -Terrorist Police Unit (ATPU) of holding men in secret locations after charging them with crimes of terrorism without adequate proof to substantiate these charges. The Mombasa Republican Council has publically accused the Kenyan government of deliberately marginalizing Islamist citizens. Muslims for Human Rights (MUHURI) have voiced their position that the police have deliberately targeted Muslim youth in Mombasa for arrest continuing to violate their human rights throughout this secret “No Justice” campaign. Three Muslim clerics suspected of supporting al- Shabaab and recruiting young boys have been systematically assassinated in Mombasa as a result of mysterious drive- by shootings beginning with the well- respected Aboud Rogo in August 2012 who was shot dead in his car while his wife was wounded in the leg. In October 2012, Ibrahim Omen suffered the same fate while Abubakar Shariff Ahmed renamed “Makaburi” died from gunshot wounds only last month, Tuesday, April 1, 2014, sprayed with bullets from a passing car on the steps of a north Mombasa courthouse as he waited for a ride home making violence and retribution the order of the day. On February 2, 2014 police raided Musa mosque in Majengo on a Sunday morning after hearing that worshippers had raised a black and white flag in honor of al- Shabaab decorated with two automatic weapons pointing in opposite directions. This mosque has served as a center for Somali terrorists where young Kenyan boys have been recruited to leave for Somalia to train with al- Shabaab. Outside of al- Shabaab itself , Kenya sends more young men to Somalia to train as terrorists than any other country in Sub- Saharan Africa. The inhabitants of the mosque defied the police’s orders to disband and quickly became violent throwing stones at the police who eventually shot into the crowd. This heated altercation quickly turned into a riot after one man inside the mosque was killed by the police during the raid. On March 23, 2014 6 Christians were killed and twenty others wounded in a Sunday morning church service in Likoni (near Mombasa) only days after two Somalis were charged with terrorism once police determined a car in their possession had been filled with explosives. The Kenyan Muslim Youth Center (MYC) now called al- Hijra was originally founded in the Eastleigh slum, a Somali- rich section of Nairobi in 2008 by Ahad Iman Ali who has since changed his name to Abdul Fatah and moved his entire operation to Kismayo, Somalia. Sometime in 2012 al- Shabaab, established as a Somali youth group reached out to al- Qaeda establishing much tighter relations to all North- African Islamist terrorist organizations. At the same time al- Shabaab began creating closer ties with its neighboring affiliates- uniting smaller cells in Kenya, Tanzania, Uganda, Rwanda, and Burundi while training their members in the art of terrorism within its camps in Somalia using seasoned instructors trained by al- Qaeda to do this. These teachers imparted a certain sophistication that had been lacking in their previous attempts producing more qualified terrorists and adding the use of social media to keep members sufficiently informed and on the move. Their choice of weapons and techniques gradually improved as well. Although al-Hijra began with a barrage of clumsily planted grenade attacks they soon learned these explosions would not produce the desired results. They soon moved on to more lethal explosions building home- made bombs easily stored inside backpacks and left in public vehicles and highly traveled places. Members of al- Hijra were even linked to the Kampala, Uganda bombings that killed innocent party- goers during the World Football Finals in South Africa during July of 2010. In 2011, The United Nations Monitoring Group on Eritrea/ Somalia warned that a home-based terrorist group trained by al- Shabaab was planning to carry out large scale attacks in Kenya and other areas around East Africa. Most of the animosity visited against Kenya has been motivated by its military involvement in Somalia. On Sunday, May 19th, 2014 al- Shabaab militants killed at least 12 people as a result of an ambush in northern Kenya right after Kenyan jets bombed an explosives compound southwest of Mogadishu and three of al- Shabaab’s camps nearer to the border with Kenya. Kenya’s troops have also pushed al- Shabaab from the coastal city of Kismayo costing the terrorists millions of dollars in potential fees and business deals. Both terrorist organizations al- Hijra and al- Shabaab have vowed to keep up their violent attacks against Kenyans until the Kenyan government withdraws its troops from Somalia even threatening to implement “kidnapping for ransom” schemes on Americans residing within the country. What effect this will have on Kenya’s economy only time will tell? Recent unrest in Mombasa has led European tour companies to pull tourists out of Mombasa at one of the peak times of the year. Safari season will begin soon as well. The United States government has issued a travel warning against Kenya but this has been in place for a very long time ever since I began serving there in 2005. I fear things will only get worse for the Kenyan people unless the Kenyan military is able to defeat and capture the remaining members of al- Shabaab and very soon. So far the border between Kenya and Somalia is much too easily crossed for my liking.